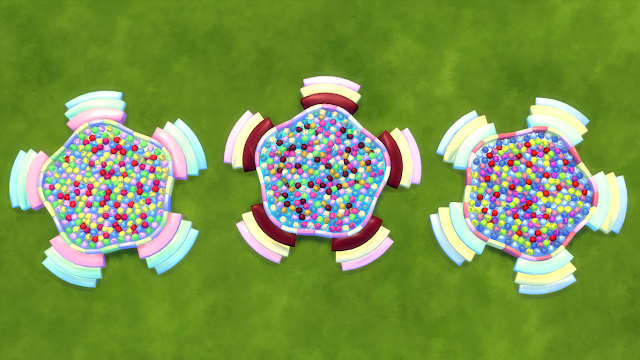 The Star Ball Pit for Sims 4 toddlers comes with 3 color variants, and it's filled with soft 3d balls. 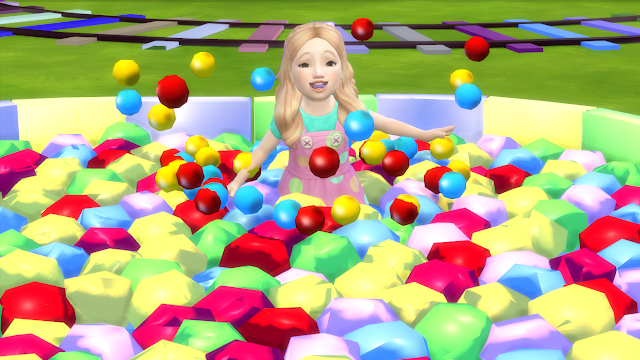 The Sims 4 Toddler Stuff Pack is required to be installed in the game for this ball pit to work. The download link and install instructions are given at the end of this post. 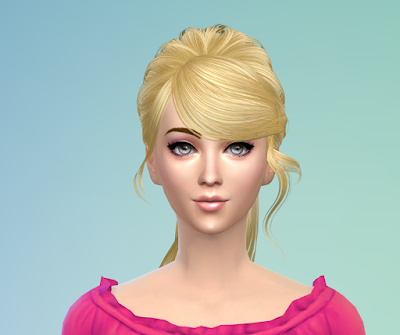 For installing this set in your game, extract the downloaded zip file, and copy the cc package file in the extracted folder to My Documents>Electronic Arts>Sims 4>Mod folder. You will find the ball pit in Kids>Toddler in Buy Mode.